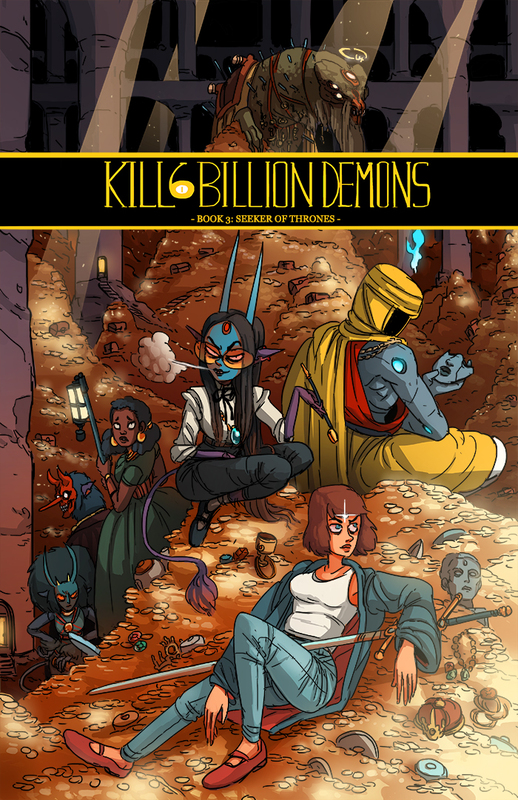 Kill Six Billion Demons book 3 is here! Seeker of Thrones (in its entirety) is releasing as a print volume with Image comics. This one is a fair bit longer than books 1 and 2 and contains a ton of great stuff (a 4 page spread for one). It collects the book that just wrapped up earlier this year (the Mammon Treasure Vault arc). You can find the official Image Comics press release here. The book will be available March 6th anywhere you can get comics, and March 12th in bookstores and places like Amazon or Bookdepository.